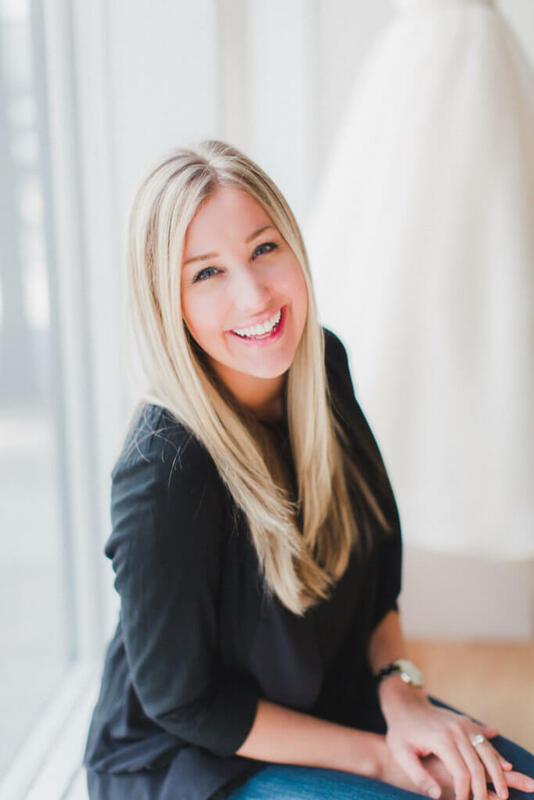 Meet Lindsey Livesay, Owner and Lead Stylist at Annalise Bridal Boutique. 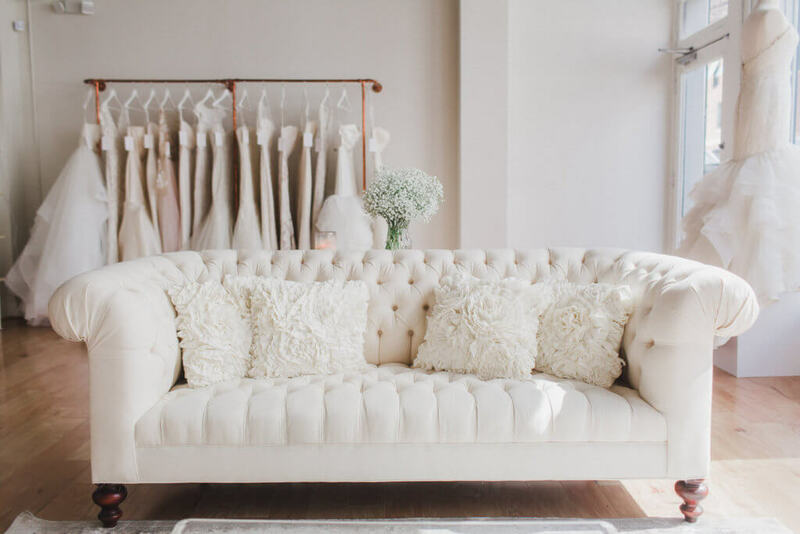 From planning her own wedding to opening her own beautiful bridal boutique, Lindsey’s inspiration will help make your wedding dress dreams become reality! 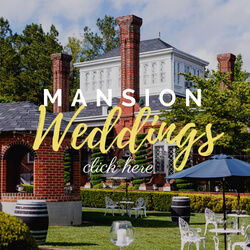 I fell in love with the wedding industry as I was planning my own wedding. When I thought of the different vendor categories I could enter into, bridal just stood out to me. 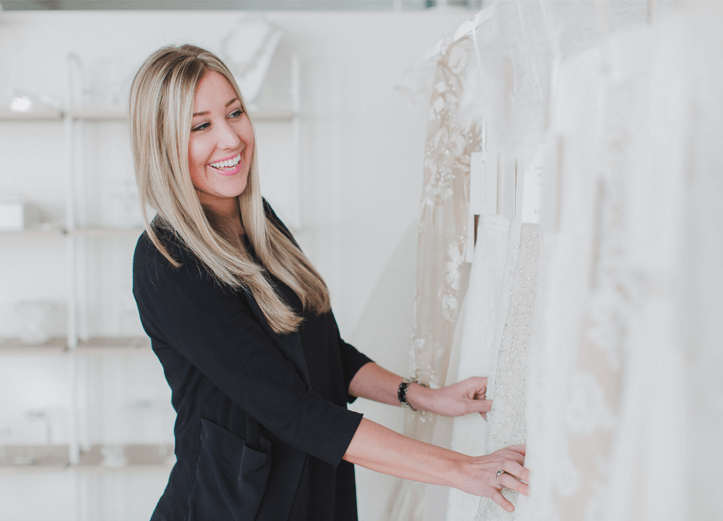 I knew I had the compassion and patience to work with brides and my financial background would come in handy when managing a store. 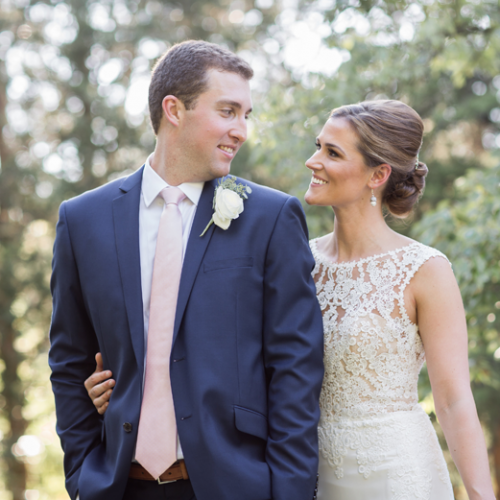 After presenting my business plan to multiple banks and investors, I finally found the perfect fit in my partner Paul and Annalise Bridal was born! My favorite wedding story was one of our brides got baptized the morning of her wedding. On the morning of the couple’s wedding day, they walked through the woods down to the shallow part of the James River to share a prayer together and to be baptized. They wanted to commit to starting their lives together with God at the center and putting each other first. I personally think that’s an incredible way to begin a marriage! I like working with weddings because of the people planning them, my brides, and their families. A wedding day is such a special day in a young couple’s life and I am honored to be a part of their love story. I think that knowing how important this day is, brings so much meaning to what I do every day. It isn’t always glamorous, but it is so rewarding! The most difficult situation I’ve faced with a bride is probably self-image issues. I’ve had a good amount of brides come in, who just refuse to think anything looks good on them. It absolutely breaks my heart. Usually, to resolve this issue I’ll sit down with the bride and ask them what’s going on. Sometimes these negative feelings are a defense mechanism for something else happening in their lives. Other times they just need a good pick me up! I want every bride to look, (but more importantly) feel beautiful on their wedding day! The biggest piece of advice I can offer to engaged couples is planning ahead and be aware of your timelines! Most of my brides are very well read on all the wedding to do’s, but occasionally I have brides come in who do not realize how long it takes for a dress arrive. Before setting a date make sure the services and items you want align with that time period. Ah, the perfect follow up question! Our dresses typically take five to six months to come in and then we recommend two months for alterations (more if the bride is taking bridal portraits). We can always rush dresses or speed up the alterations timeline, but ordering your dress eight to ten months before your wedding is ideal! My brides constantly inspire me! They are so sweet and some of their stories leave me speechless. I’ve always considered my job to be less about selling dresses and more about fostering a relationship with every bride I meet. I also find so much inspiration from my designers! With each collection comes new, innovative designs that are an amazing addition to my store’s collection and the bridal industry as a whole. Along the way, I’ve learned so much about the technical aspects of their designs and am able to suggest customizations based off of what I’ve seen them do. Truly amazing! When I’m away from work family is everything! Whether it’s playing with my sweet baby girl, FaceTiming with my sister & my niece, or group texting with my entire fam. I always enjoy those precious moments. If I can spare the time, I love taking day trips to the beach or the mountains, which is my favorite thing about living in Richmond. Some of my other favorite activities include the Chick-fil-A drive-through, slurping down Baskin-Robbins milkshakes, or trying a new restaurant or brewery in RVA! Other than planning my own wedding, I had no previous experience in the bridal or fashion industry. Before I started, I dug into every bit of research I could to familiarize myself with fashion terms and materials! I’ve learned so much since starting this journey and am so thankful for the community’s and my brides’ support! Photo Credits: Annamarie Akins Photography. 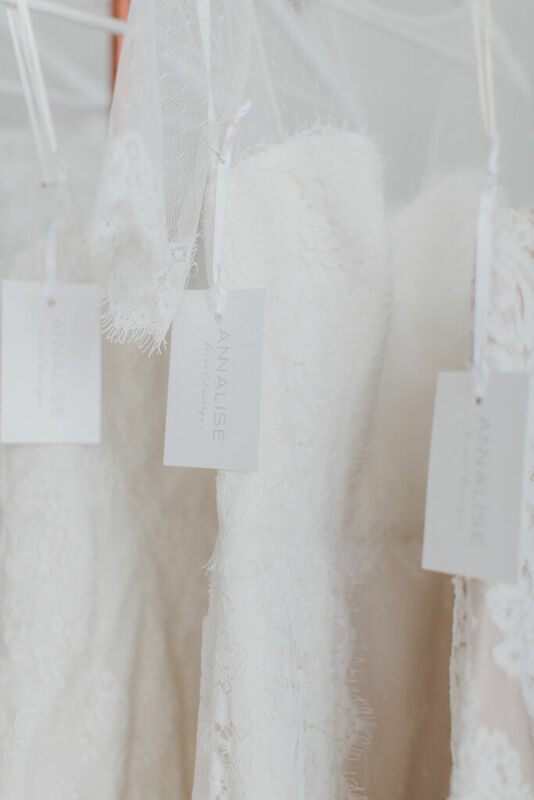 Learn more about Lindsey and how Annalise Bridal could have your dream dress on their website!